So a little show and tell today, 4 new lippies and an eyeshadow quad that I put together. I love everything, and am very happy with my purchases...come and have a look! I was really keen to try a couple of different finishes in the lipsticks. Both Brick-O-La and Craving are Amplified, and are both stunning! Gorgeous saturated colour, Craving leans a little more plum, and Brick-O-La a warmer, muted, very wearable red. Twig is a Satin, and has a comfortable, satin/matte finish on the lips. I have worn this quite a few times...it is an absolutely gorgeous, deep neutral and it fits the nineties lip trend very nicely!! Lustering was calling to me...such a beautiful shade, and it is a Lustre finish. These types of shades can be a little intimidating in an opaque formula, but this is sheer, moisturising and just really pretty for spring/summer! Both Woodwinked and Mythology are perfect lid shades that I will happily blend up into the crease. I have wanted Woodwinked for the longest time, and Mythology has the most beautiful rose gold tone. Love them both! Rice Paper is a beautiful highlight shade for me...it is a soft, pale gold that gives a gorgeous, subtle glow to the inner corner and brow bone. Brown Script was my choice for a deeper toned matte shade. I love its warm, reddish undertones...I have been loving this on my top lash line instead of liner. Slightly out of focus...but gosh it shows the gorgeous glow of Woodwinked and Mythology! I am very happy with my new lovelies! Do you have any of these shades? I would love to know your favourite MAC eyeshadows and lipsticks, please feel free to leave a comment below! It is only a short trip ( 5 days to explore the city ) but I am so excited!! I have a plethora of beauty posts coming your way on my return, so please don't think I have forgotten about you! It will be only my husband and I going, so preparing my household for my family to care for our 4 children whilst we are away for a week has not allowed me much time to pre-prepare posts for the blog. My apologies! I will no doubt be sharing bits and pieces of the trip on my Instagram page, and be doing a wee bit of beauty shopping, so look out for my posts on there if you are interested to see what I get up to!! Thanking you in advance for your patience and understanding! I'm off to paint my nails, have a cup of tea, and go to bed in some vain attempt to sleep!! Have you been to New York City? I would love to hear about your favourite New York things... and what you enjoyed most...and where you love to shop of course!! Photo Credit: @tuulavintage from Instagram with the caption " Sunset light over Central Park "
I am missing the usual trademark pink Priceline bag today, customers were being given these fancy schmancy L'Oreal bags... I could have fit way more in there!! Only 5 things!! So restrained!! Bondi Sands is currently 50% off at Priceline...get on it beauties! I have used the Light/Medium tanning lotion before, and find it to be easily to apply ( I use a tanning mit ), it gives a really lovely natural colour, and smells gorgeous. I am interested to give the tanning foam a run for its money, and will keep you updated in future posts. Lily white limbs be gone! This concealer has been on my radar for a very long time, and I have only recently seen it appear in the L'oreal display in my local Priceline. It gets a very good rating on Beautypedia, for both coverage and blendability. I picked up the shade 03, which may be half a shade too dark for me. I had a play with the tester, and the texture reminds me of the Maybelline Fit me concealer, which I love. Again, will keep you posted! L'Oreal is currently 30% off. This glitter has been calling my name for what seems like an eternity ( slight over-dramatisation ). Today, she came home with me! I am planning a manicure with this beauty, we'll see how it turns out! Sometimes glitters don't translate well on the nail, and the beauty that you see in the bottle is lost. Fingers crossed! If it's any good I will share! 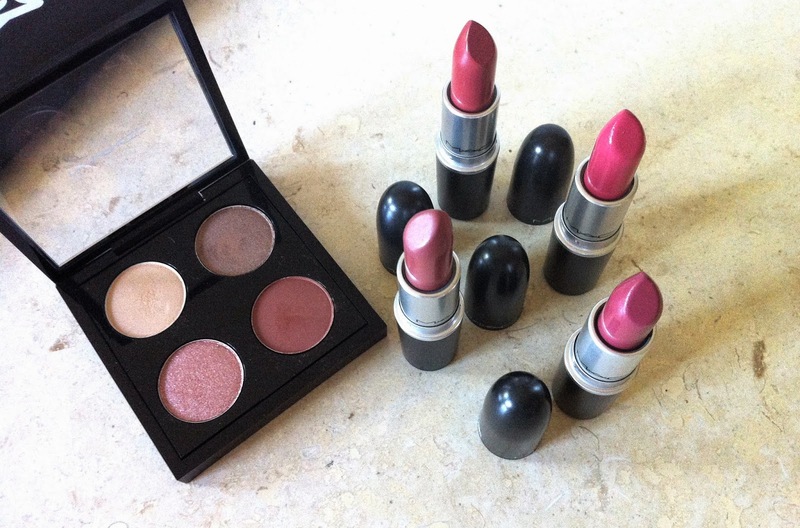 I can't seem to pass up these lip colours from L'Oreal. This is my 4th! I love them. I love the formula. The shade range is beautiful. Big thumbs up from The Beauty Vine. I have a swatch below of Rose Melody. 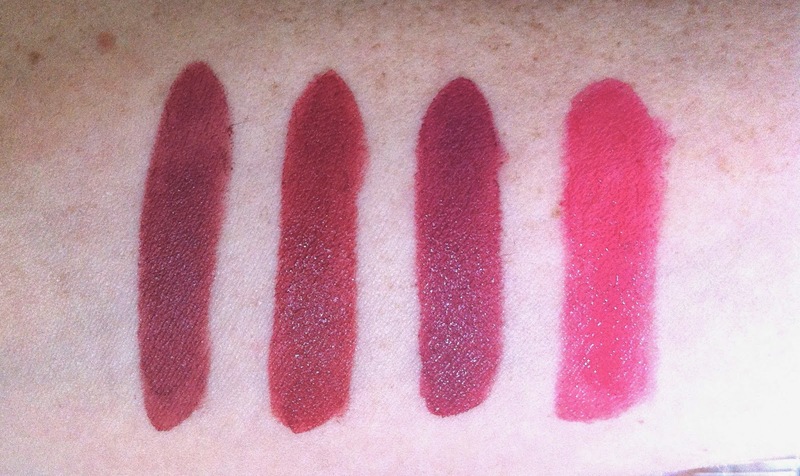 Do let me know if you would like to see swatches of the other shades that I have, happy to oblige!